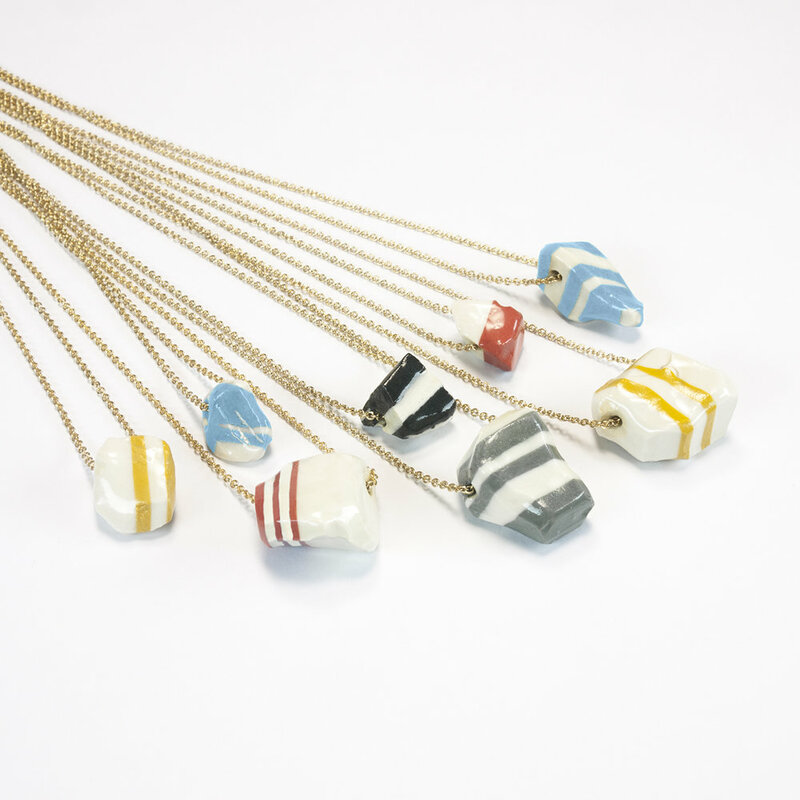 The Strata Necklaces were inspired by geologic processes seen in nature. Much like the formation of sedimentary and metamorphic rocks, liquid porcelain is molded into a block and then broken down into smaller pieces. The combination of the refined material and crude process creates compelling contrast. Each pendant will have a uniquely fractured shape. The Gold series features 22kt gold glaze.